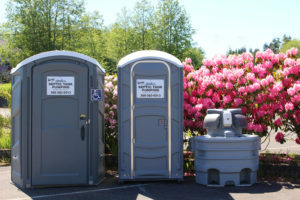 Baker Septic supplies portable restrooms and portable hand washing stations, for construction sites, schools, and many other small and large business’s in the Whatcom and Skagit Counties. If you have a special event coming up and need services for a school event, community event, carnival, family reunion, weddings and more; we can help. All portable toilets are fully stocked and we provide cleaning services that work with your needs. Our commitment is to make Baker Septic’s Portable Services the area’s first choice in portable sanitation facilities. We have portable toilets suitable for every outdoor occasion. To learn more about Baker Septic’s products, or to determine how many facilities you need, don’t hesitate to call us at (360) 383-0013 or email us! 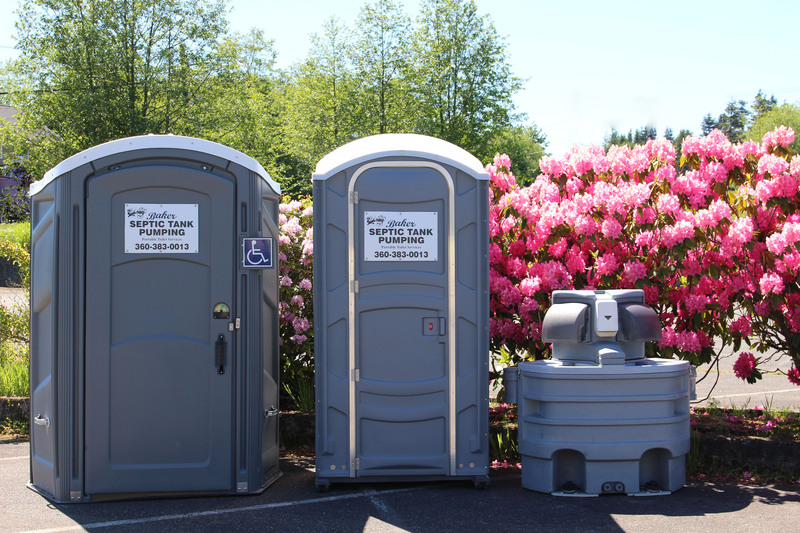 –We recommend all event coordinators to have at least one handicap portable toilet per event. • Hands-free foot pump operation—easy to use! Contact us now to request your units!